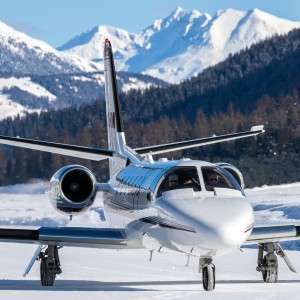 Biggest is Not Always Best in Private Corporate Jets | Stratos Jet Charters, Inc. Private jet aircraft, like business clothing, should be tailored to the right size. It’s easy to be seduced into believing “bigger is better.” We all want bigger profits, bigger homes, cars and boats. But in aviation, is bigger always better? Not always. Private corporate jet charters, like your shoes and clothing, need to be the right size for your needs. There are several variables to consider, including your budget, the number of passengers and your itinerary. Stratos offers three different basic classes of private corporate jet. Here is a quick guide to help you find the perfect aircraft for your travels. The Citation II is a smart choice for executives who want a comfortable a jet charter that can fly nonstop from Chicago to Dallas. Light jets can carry six to eight passengers. They typically have shorter ranges, and smaller cabin sizes, which may limit movement inside the cabin, and available baggage space. Consider two passengers traveling from Boston to Washington D.C. for a quick meeting, and then immediately returning to Boston. 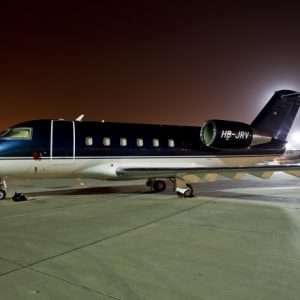 The best private corporate jet for this trip would be a light jet. They are fast, efficient and inexpensive. With just two passengers on a one-hour flight, the comfort level is fine. With its class-leading high cruise speed of Mach 0.82 (536mph), The Legacy 500 is ideal for business travellers who need to fly domestically on tight schedules. Mid-sized jets are also typically configured to seat six to eight passengers. 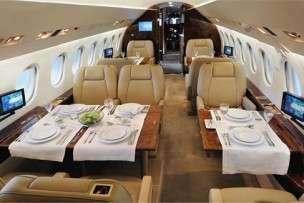 However, their range, cruising speed, cabin room and cargo space are superior to a light jet. 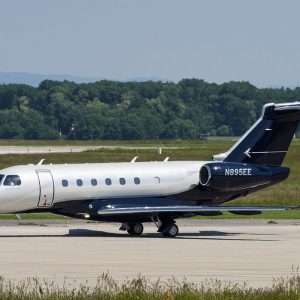 For four passengers flying from Atlanta to Phoenix for a golf weekend, a mid-size jet will be the best option. On a three-hour hour flight, four passengers with four sets of clubs would be cramped on a light jet. They would fit, but the added comfort might be worth the upgrade. This is especially true if the trip is for a special occasion like an anniversary or for entertaining important clients. The cabin in the Challenger 600 is very quiet and creates an ideal environment for passengers travelling for business. Heavy jets are aircraft with greatly increased range and comfort. Heavy jets are configured to seat up to 16 passengers, offering a full “stand up” cabin with plenty of space to move around during the flight, large baggage capacity and a fully-enclosed lavatory. Flight attendants, not present on light and mid-sized business jets, are another nice addition. Flying from Miami to London? 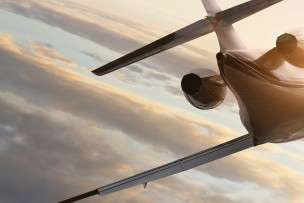 Your best private corporate jet option is probably a heavy jet. You’ll have enough room to stand up and stretch your legs, or lie down for some sleep on the seven-hour flight. The cabin attendant will provide you with meal & beverage service, and with the extended range, you won’t need to make a fuel stop in either direction. So when chartering a private corporate jet, bigger isn’t always better. The best jet is always the one best suited to your individual needs. Stratos Jet Charters can also use other criteria to help our clients choose aircraft. We compare high-altitude capabilities, aircraft that are better suited for bad weather conditions or that can take off and land on short airfields, or that have specific cruising speeds or cargo capacity. If you’re ever in a pinch and need to get to a meeting pronto, an air taxi is another excellent travel option for executives. Our previous post provides a lot more information: Take the Stress out of Commuting with an Air Taxi. But the bottom line will always remain the same at Stratos Jet Charters. We always focus on providing our clients with the right jet for the right trip. Looking for a private jet charter broker that can arrange a flight to anywhere in the world? At Stratos Jet Charters, we have access to every type of jet, from turbo-props to commercial airliners. Contact us for a complimentary quote.